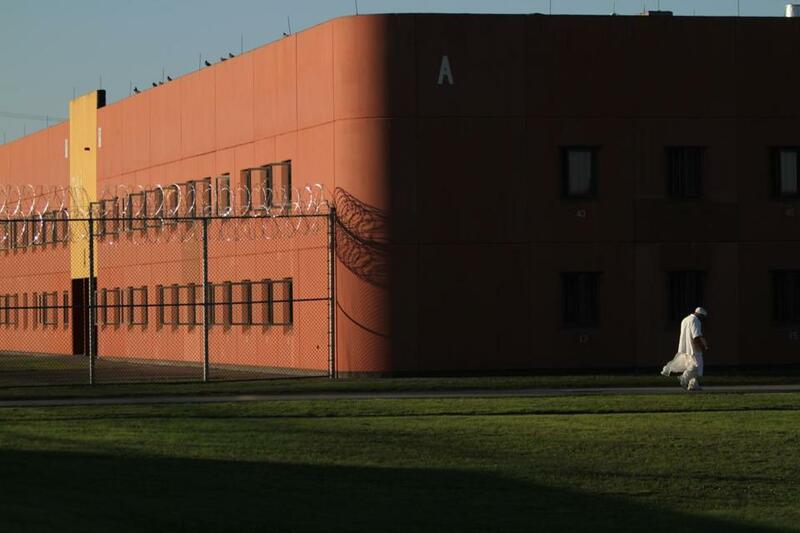 MCI-Shirley, a combined medium and minimum security prison in Massachusetts. Prisoners in Massachusetts who have hepatitis C could soon be treated more frequently and with more effective, and more expensive, drugs as part of what is believed to be a groundbreaking class-action settlement agreement reached with the Massachusetts Department of Correction. If the agreement, filed in federal court in Boston on Friday, receives preliminary approval from the court, prisoners with the most serious cases of the disease will begin to be treated under the new guidelines within the next 12 months. Inmates with less advanced stages of hepatitis C would get treated within 18 months. New prisoners will be given the option to be tested for the disease. The number of inmates currently estimated to be at the highest stages of the illness is 280, but that number could increase over the life of the settlement agreement as other inmates with the disease develop more serious conditions. The settlement agreement is the culmination of nearly three years of litigation. Inmates Emilian Paszko and Jeffrey Fowler, both in the latter stages of the disease, sued the Department of Correction in 2015 for denying them treatment with the most effective drugs on the market. This is believed to be the first comprehensive settlement of its kind and, if approved, could serve as a guide for similar legal cases throughout the country, said Jonathan Shapiro, who handled the case for the Massachusetts chapter of the National Lawyers Guild. Hepatitis C, a liver infection that is spread through contact with blood or bodily fluids, is prevalent among prison inmates. Untreated, the infection can lead to cirrhosis or liver cancer and trigger the need for transplants. About 1,800 prisoners in the state, or about 10 percent of the prison population, are estimated to have hepatitis C, Shapiro said. New drugs called direct-acting antivirals can cure the disease with fewer side effects than previous treatments. While the Department of Correction treated some inmates with hepatitis C, attorneys for the inmates said there was no cohesive system in place. Although prices of the direct-acting antivirals have started to come down since FDA approval in 2013, the costs are still substantial. Shapiro estimated that treatment could reach between $30,000 to $50,000 per prisoner. Pricing could vary depending on the treatments and the agreements the Department of Correction may reach with vendors. However, the state anticipates the cost of the program to be manageable because the drugs are expected to continue to decline in price. Shapiro commended the state for recognizing the hepatitis C treatment system for prisoners needed to change. The Department of Correction agreed to start implementing the new treatment system as soon as the settlement agreement receives preliminary approval from the court. The settlement would also get rid of an exclusion that allowed the Department of Correction to deny prisoners treatment if they had less time remaining on their sentence than was needed for treatment, typically 8 to 12 weeks, said Joel Thompson, an attorney with Prisoners’ Legal Services of Massachusetts who represented the prisoners.